M.Sc at the Weizmann Institute of Science under the supervision of Uriel Feige, 2013. Participated in the Technion Excellence Program: 2008-2011. As a student in the Program, Tal took some advanced courses early and without the prerequisites, which, in his words, is a great experience as long as it´s done with careful consideration. In addition, he participated in several research projects. During the summer of 2010 Tal was a summer intern at the Natural Language Processing group at the Computer Science and Artificial Intelligence Laboratory (CSAIL) at MIT. He took part in a research project aiming to use Tweeter streams to automatically extract details about upcoming and ongoing events, such as music concerts. During his 3rd year Tal took part in a research project under the guidance of Prof. Koby Crammer from the EE faculty, aiming to develop novel algorithms for binary classification in Natural Languge Processing. Recommendation to Program participants: "Don´t rush into research projects, and take your first steps slowly and carefully. Rushing into projects you aren´t prepared for will end up being a waste of time. Also, keep an open mind about courses and topics – You might be surprised what catches your interest!" 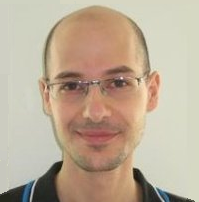 Today (2018): Tal is now starting the fourth year of his PhD degree in the Theory of Computation group, at MIT.